With most online stores you get to the checkout and there are a host of hidden fees and charges like shipping, handling and payment processing fees. With GadgetsDirect.com.au the price you see is the final price you pay with no hidden fees or charges. 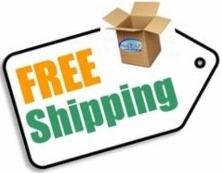 This means we will ship any item to any postcode in Australia or the world at no extra charge. We can do this as we have discounted freight rates and we have passed these savings onto the customer.